Over 7 days, I share a video tutorial of a secret writing trick that will ignite your creativity and open up the possibilities your writing offers you. Each video is accompanied by a writing exercise that you can download. You will also be given access to a library of resources where you can find the answers to your writing questions. Everyone has the need to be seen and heard. We all have something to offer the world. Writing is one of the best ways I know to find our voice. To get to where we want to go, we need a path. We need to be shown the first steps. 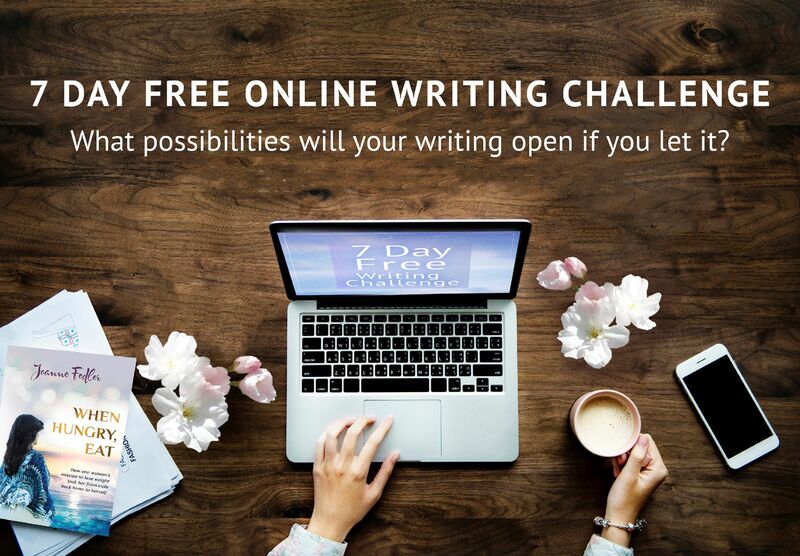 This writing challenge is to share those first steps with you. You will learn seven techniques to switch on your writing muscles. These are small ideas. Insider secrets. Foundations for a writing practice. have fun (without drugs or alcohol). check our library of additional resources to find answers to your writing questions. Please share this writing challenge generously – on social media, by email, by word-of-mouth. Pass it on to that friend who’s always saying, ‘I want to write,’ or to your grandfather who wants to get his lifestory down. Maybe you know someone who isn’t in a financial position to afford writing courses, classes or a mentor, but they’ve got a story to tell.